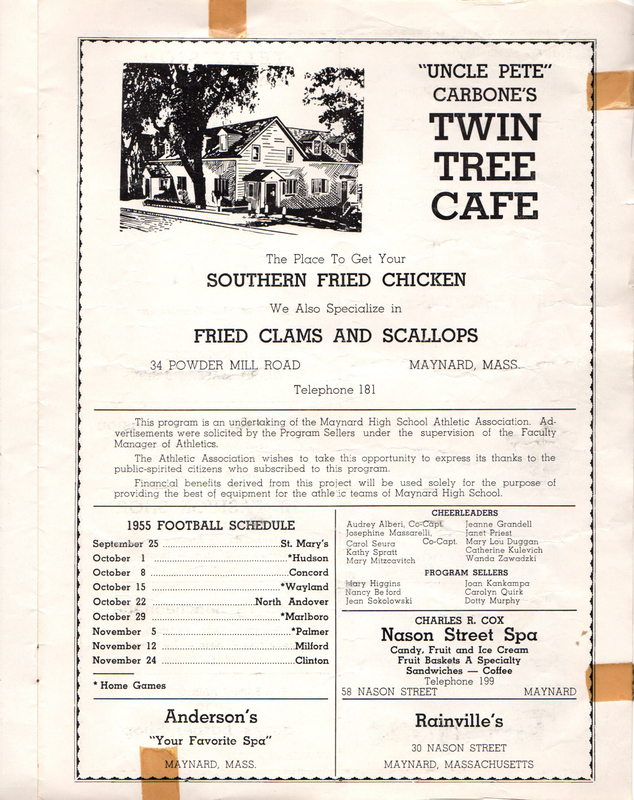 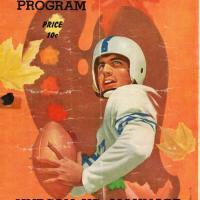 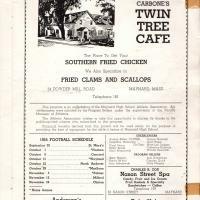 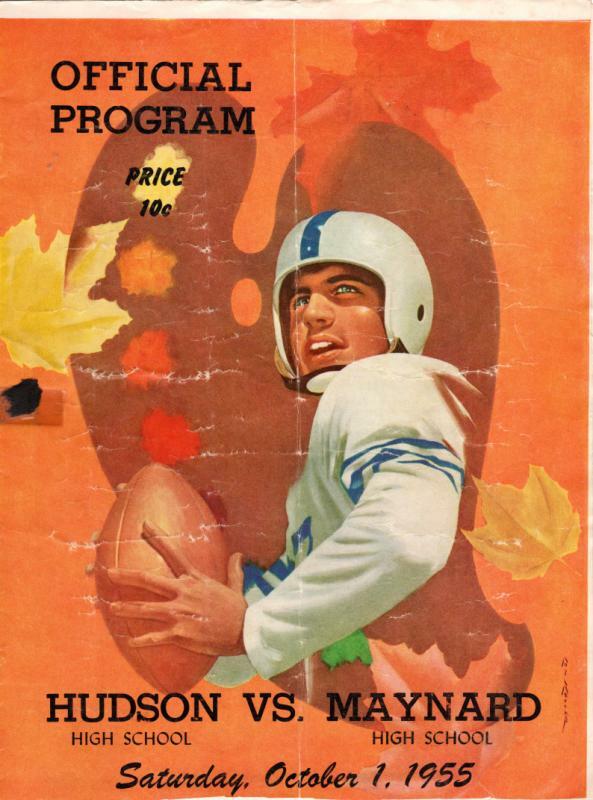 An Official Program listing the players of a game between Maynard High School and Hudson High School. 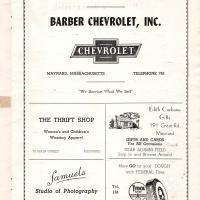 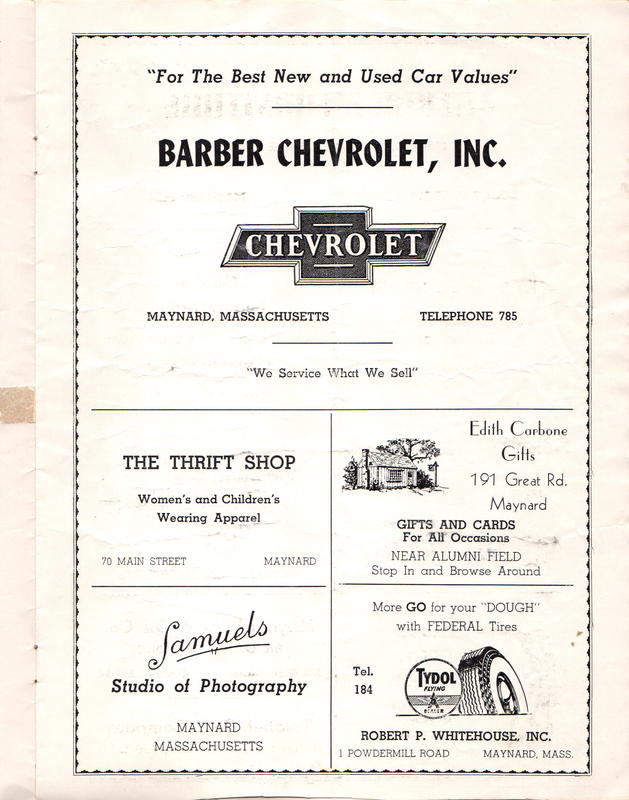 Eight page booklet, 8 x 11 in. 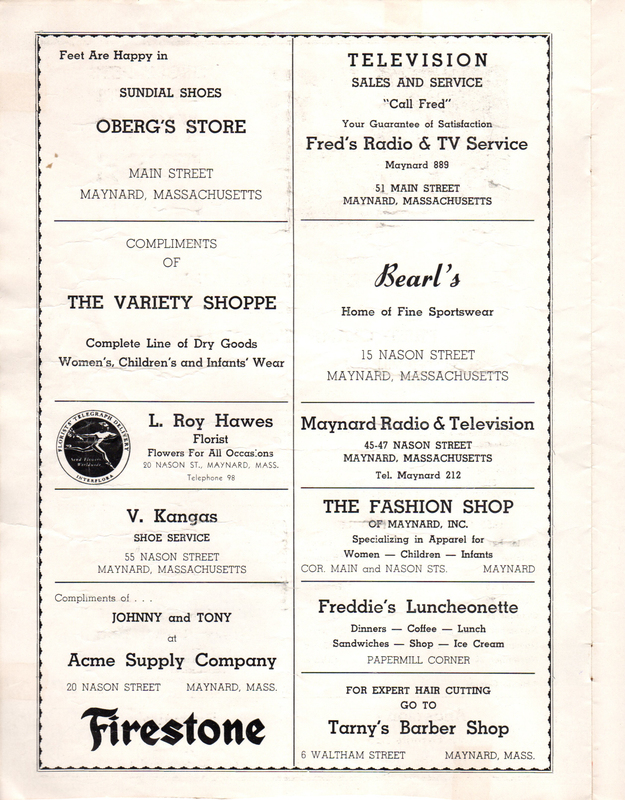 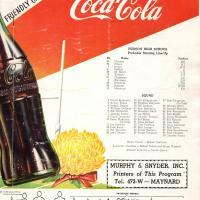 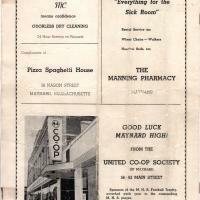 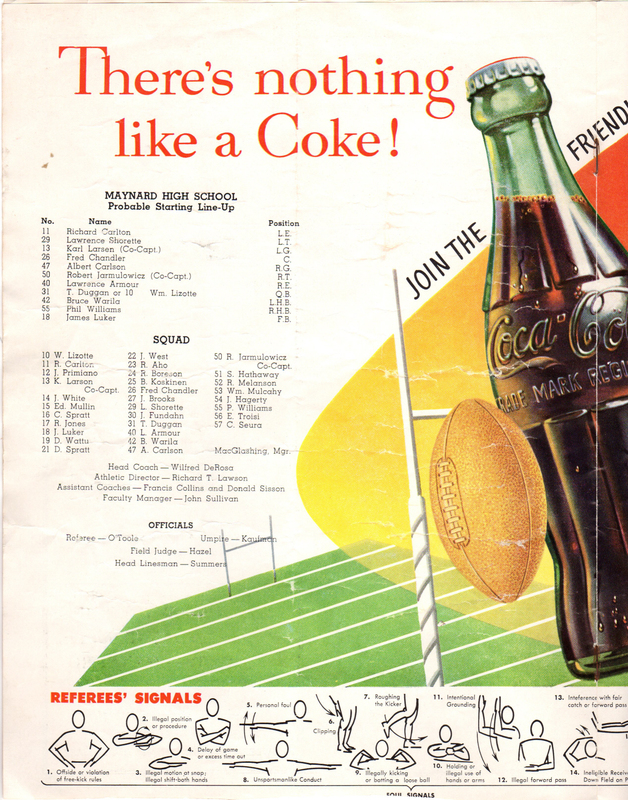 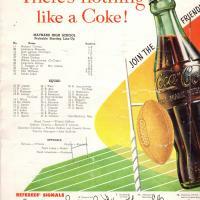 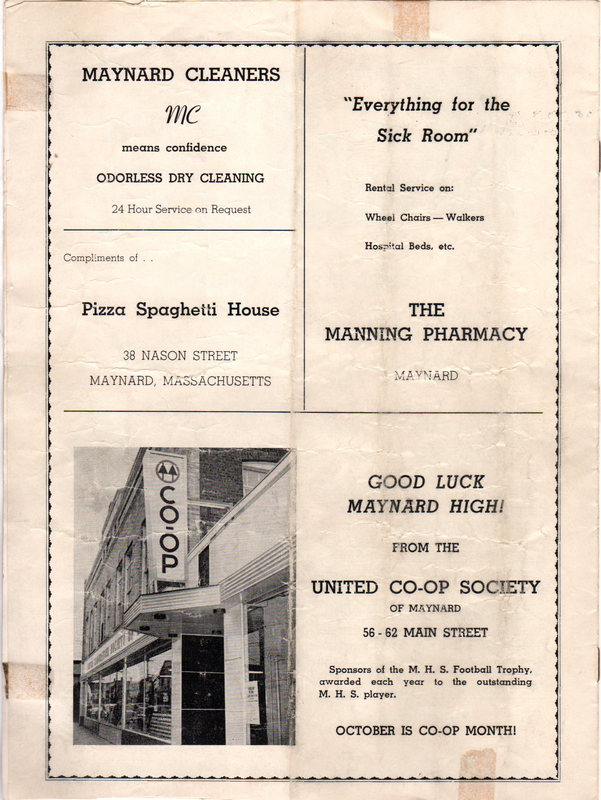 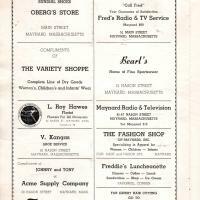 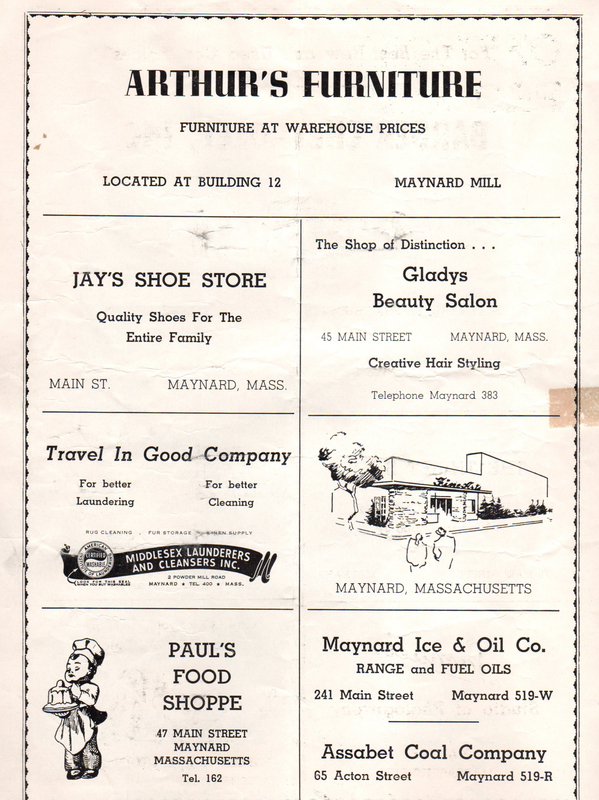 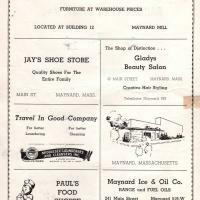 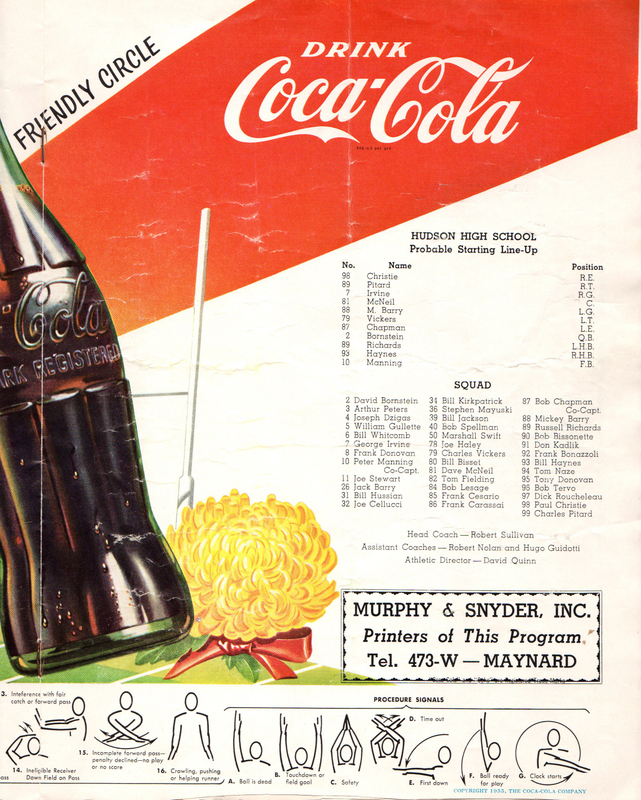 Murphy & Snyder, Inc., “Maynard High School Football Program - 1955,” Maynard Historical Society Archives, accessed April 23, 2019, http://collection.maynardhistory.org/items/show/5748.